Disclosure: This is sponsored USFAMILY GUIDE campaign. All opinions are my own. I have been the lucky receiver of a couple of jewelry items from Mama's Jewelry and I love them both! They are beautiful and very well made. Mama's Jewelry is an online site developed by Central Diamond Center, a family owned and operated business with a passion for creating jewelry from gold, sterling silver, platinum and diamonds. The owner, Eli Meloul, has been a diamond dealer for over 30 years and has proudly made gorgeous custom gemstone jewelry. Eli is so proud he offers customers a satisfaction guarantee on all non-engraved products. Mama's Jewelry uses Swarovski imitation gemstones renown worldwide for their superior quality in settings for custom rings, pendants, necklaces, chains, earrings, bracelets and more. Have a browse around their site and consider purchasing a piece for a gift or for yourself. Personalize your jewelry choice with birthstone gemstones. An added touch that is believed to bring good luck and health. 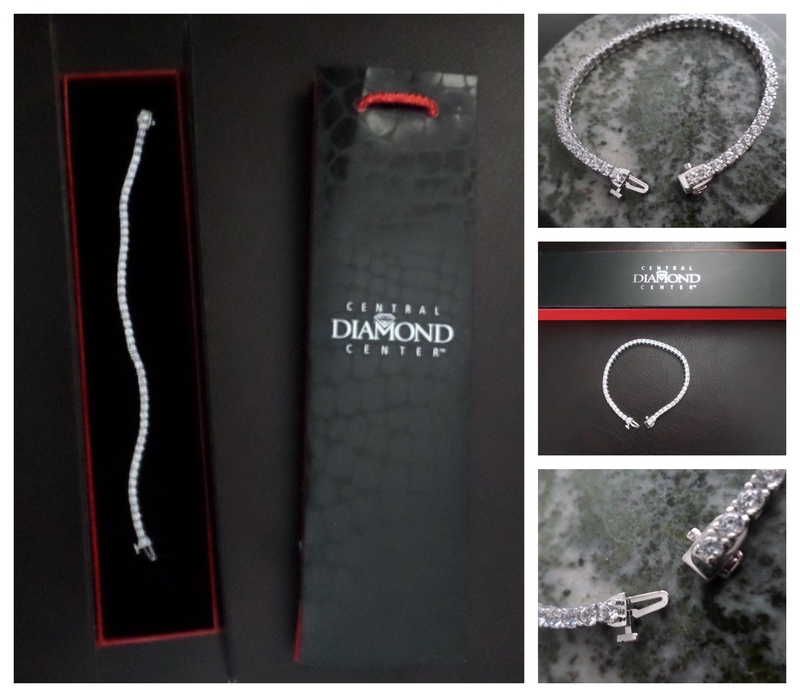 I received this beautiful 7" sterling silver & round cut Swarovski CZs tennis bracelet in platinum and it is gorgeous, the clasp is well made and easy to use. It comes in a beautiful box with a gift bag, great for gift giving. and use code: USFAMILYBLOG10 to receive 10% off any purchase. Check out our review of their gorgeous Black Tahitian Necklace. A necklace I love to wear all the time!